Common Name : Prickly Chaff-flower. Habitat : Throughout india and tropical asia. Uses : This plant is popularly supposed to act as a safeguard against scorpions and snakes by paralyzing them. It is described as purgative, pungent, and digestive, a remedy for phlegm, inflammation of the internal organs, piles, itch, abdominal enlargements, rheumatism and for enlarged cervical glands. The Hindus in preparing caustic alkaline preparations use the ashes. The diuretic properties of the plant are well known to the natives of India. Different parts of the plant are ingredients in many native prescriptions in combination with more active remedies. In Western India the juice is applied to relieve toothache. The ashes with honey are given to relieve cough and rubbed into a paste with water it is used as an anjan (eye salve) in opacities of the cornea. 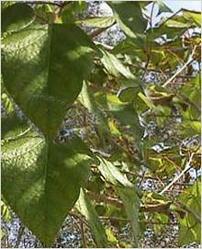 Stem of the plant is used as toothbrush, infusion of the twig is also used as a wash for tooth pain. Roots are useful in treatment of cancer.Decoction of roots is used in stomach troubles.